With mobile casinos and Netent games getting more and more popular, it’s no surprise that the most outstanding games like Lights is one, can be played directly from your desktop and as a Touch® game. Just like Aliens, which was launched a month before Lights, also the Lights video slot got launched as a Touch® game straight away. This means the Netent Touch® Casino’s are growing faster than ever, good for all players who like to enjoy their favourite Netent games from their mobile or tablet too. 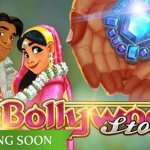 All Netent games and video slots have been designed specifically for smartphones and tablets running on IOS or Android, the most common operating systems available for mobile devices. 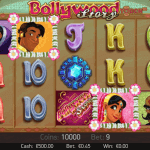 Lights can be played in any Netent Casino that’s up to date with the newest Netent games. That means you can run the game easily, and as a free game too, on your laptop or personal computer. Of course this is still the best way to play the Netent video slots, at least when you have a decent streaming depending on the speed of your internet. It also helps a lot when you are using the right browser to play the video slots and using the latest Flash version. A newer computer helps a lot too so latency won’t be an issue. If all ok, Lights will bring you the best lights spectacle you’ve seen so far playing a Netent video slot, all thanked to the spectacular light show provided by swarms of fireflies. Besides these flying jewels, you will also enjoy a Zen-like game which is set in an Asian landscape at dusk, combined with the perfect background sounds as if you are relaxing in an Asian spa. And if the design doesn’t attract you already, I’m sure the original and newly invented Floating Wilds will do. 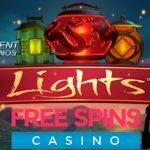 Combined with the Free Spins feature, Lights can be responsible for winnings up to 90.000 coins a spin. Just as the desktop version, also Lights Touch® will offer you spectacle. Although a few significant changes needed to be made to let this game run as fast as the desktop game, nothing changed when it comes to the design or gameplay. You’ll get the same Light spectacle as Lights is giving you, but this time you’ll be playing Lights either from your smartphone or tablet. No matter what Netent Casino you choose to play Lights, as long as this Netent Casino is offering a mobile casino too, you’ll get the chance to be mesmerised by the many fireflies who love to gather together. It all starts with 9 bet lines, 10 different levels to play with as well as seven coin values to choose from. Nothing new compared to the desktop game, also Lights Touch® offers a minimum bet of 0.09 and a maximum bet of 90.00. Although Starburst Touch® is offering a brilliant Wild feature, also Lights Touch® is. 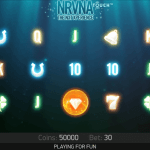 Never seen before in any Netent Touch® video slot, Lights is all about the Floating Wild feature, and no spin is going by without this Wild doing all it can to provide extra winning combinations as a minimum of two Floating Wilds appear within every single spin going up to four Floating Wilds during the main game, while Free Spins will be provided with three to six Floating Wilds making every single spin an adventure. 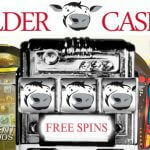 You can win up to 30 Free Spins playing this Netent video slot, activated by three or more Scatters. Enjoy the spectacle given to you by the many swarms of fireflies, providing you with many Floating Wilds and Free Spins, while you get drawn into a warm and balmy night, bringing an enchanting atmosphere.